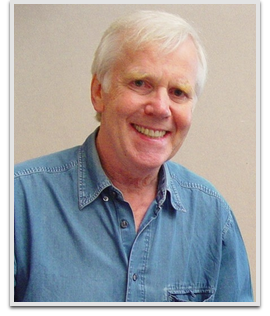 Jeremy Bulloch’s career has been marked with roles in some of fandom’s most beloved and cherished films and television series. In a career spanning over half a century, he is most famous for his role in Boba Fett’s costume in the Star Wars films The Empire Strikes Back and Return of the Jedi. Additionally, he plays a minor role as an Imperial officer in The Empire Strikes Back, his only non-masked appearance in the original Star Wars films. Bulloch returned as Boba Fett for the fan film mocumentary: Return of the Ewok. He also has minor roles in three James Bond films, twice playing Smithers, an assistant to Q. In 1962, he starred alongside Cliff Richard in the musical film Summer Holiday. Bulloch was more popularly introduced to British audiences in the television series The Newcomers (Oct ’65– Dec ’67), playing the elder brother to the ravishing debut performance of Judy Geeson. He also appeared in two Doctor Who stories, The Space Museum and The Time Warrior. In recent years, due to the release of the new Star Wars films, he is frequently invited to science fiction conventions throughout the world, and was inducted as an Honorary Member of the 501st Legion costuming organization in May 2002. Later, in November 2009, he actually joined the 501st as a costume-wearing member making appearances with the group as Boba Fett.